Sometimes I need to whip up social media graphics FAST. For example, this week has been crazy busy and I didn’t have time to Photoshop an influencer marketing advertisement for Instagram. So I used method number three (discussed in this post) to knock a social media graphic out quickly, right when I got into the office this morning. Not many people know that you can buy bundles of ready-made-social media graphics at places like CreativeMarket.com. Creative Market is a marketplace where premium designers sell quality graphics at an affordable price. 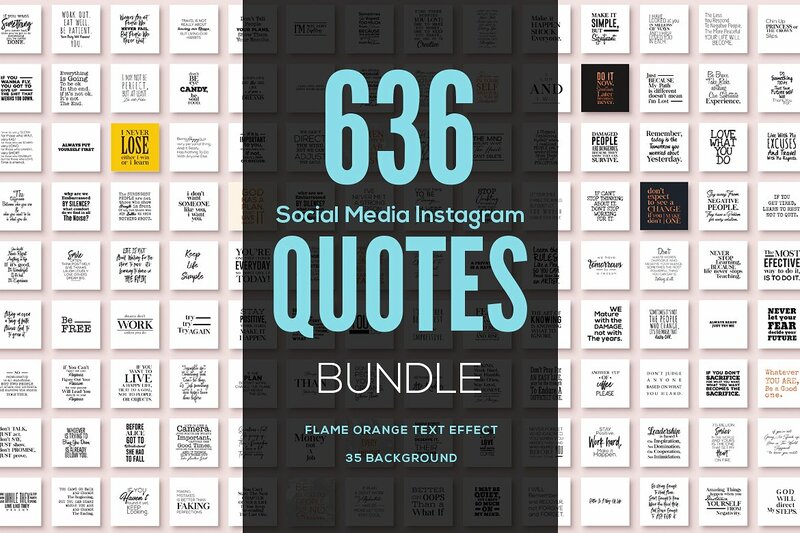 For a one-time purchase of $49, you can purchase a bundle of 636 social media graphics that will keep your Instagram and Facebook account filled for an entire year. This is by far the fastest way to get social media content. The bundle mentioned, comes with white, black, and colored backgrounds. Because there are a variety of backgrounds to choose from, and because not many people know about this resource, your content will seem pretty unique to your audience. If you want to get really fancy, you can even customize them more in Photoshop. If you don’t know Photoshop, you can also bulk watermark your images with an online tool like Watermark.ws for a very small fee. People on social media want you to share their stuff. That’s how they grow their audience. It’s also good for you because it’s free content and lets your audience know you’re unbiased. A bonus is that it helps you get noticed by the person’s account that you share. It’s not an exact science, but generally, you want about half of your content to be curated and half of your content to be something you created. If you want to know more, read up on the 5:3:2 and 30/60/10 content strategies. One of the fasted ways to find and schedule content to be reposted is to use a tool like Tomoson’s Content Inbox. 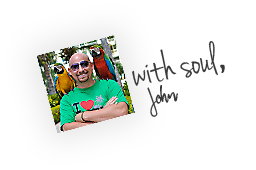 It crawls blogs and social media hashtags and pulls them into your inbox so you can schedule them to be reposted. Anyone can design social media graphics with online drag-and-drop software like Stencil. If you know a few basic design principles, like I teach in the Stencil tutorial above, you’ll be able to customize a beautiful image in five minutes. Just follow my quick tips to select the right fonts, photo filter, and colors to brand your inspirational quote images. You can get Stencil free for up to 10 images a month. There are a few big names in the drag-and-drop designer market for social media graphics. I like Stencil because it’s cheap, easy and focused on social media. Stencil streamlines social media graphics into a drag-and-drop process. Just search 1.5 million royalty-free photos and drop one on your canvas. Next search 100,000 quotes and drop one on your canvas. Then customize the font, save it, and share it on social media. Once you do this a few times and find your style, you can literally knock one graphic out in about five minutes. 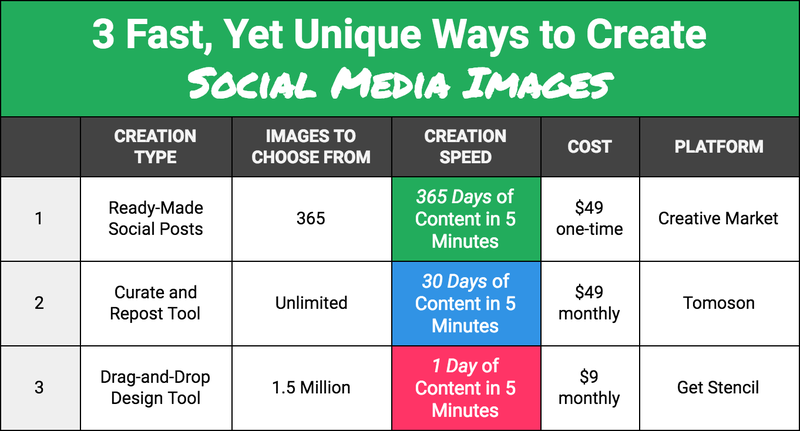 How do you create social media images fast? You can leave a comment by clicking here.